Geoff Chambers, “Tribute to Aussie IS thug Khaled Sharrouf by compatriot Neil Prakash indicates he was killed in an air strike,” The Daily Telegraph (Sydney), August 2, 2015, http://www.dailytelegraph.com.au/news/nsw/tribute-to-aussie-is-thug-khaled-sharrouf-by-compatriot-jihadist-neil-prakash-indicates-he-was-killed-in-an-air-strike/news-story/23109ed2ddaa84258243f6018e913b96 Then-U.S. Secretary of State John Kerry said of the photo, “This image, perhaps an iconic photograph… is really one of the most disturbing, stomach-turning, grotesque photographs ever displayed.”Paul Maley, “Federal Police told ISIS has put Khaled Sharrouf in jail,” The Australian (Sydney), May 13, 2016, http://www.theaustralian.com.au/in-depth/terror/federal-police-told-isis-has-put-khaled-sharrouf-in-jail/news-story/5df5e1fb4b1afe46c1fbd05d922f1613. Sharrouf has also released photos of himself participating in the execution of Iraqi captives.Paul Maley, “Federal Police told ISIS has put Khaled Sharrouf in jail,” The Australian (Sydney), May 13, 2016, http://www.theaustralian.com.au/in-depth/terror/federal-police-told-isis-has-put-khaled-sharrouf-in-jail/news-story/5df5e1fb4b1afe46c1fbd05d922f1613. Rachel Olding, “Terrifying legacy emerged from success of Operation Pendennis,” Sydney Morning Herald, August 24, 2014, http://www.smh.com.au/nsw/terrifying-legacy-emerges-from-success-of-operation-pendennis-20140821-106ow0.html. Despite being subject to a travel ban, he managed to travel to ISIS-controlled territory in December 2013 by using his brother’s passport.“Australian terrorist’s children could be taken into care,” BBC News, May 27 2015, http://www.bbc.com/news/world-australia-32894860. Sharrouf was falsely reported killed in a July 2015 U.S. airstrike in Syria. He was eulogized by his Australian compatriot Neil Prakash, an ISIS recruiter and propagandist notorious for recruiting Australians via Twitter to join ISIS.Martin Chulov and Paul Farrell, “Revealed: the new face of Neil Prakash, Australia’s most wanted Isis member,” Guardian (London), December 2, 2016, https://www.theguardian.com/world/2016/dec/03/neil-prakash-new-images-isis-member-arrest-turkey-australia. The U.S. Department of the Treasury designated Sharrouf in January 2017 alongside Prakash, as well as Indonesian ISIS supporters Bachrumsyah Mennor Usman and Aman Abdurrahman a.k.a. Omar Rochman.“Treasury Designates Australian and Southeast Asian ISIL Operatives and Leaders,” U.S. Department of the Treasury, January 10, 2017, https://www.treasury.gov/press-center/press-releases/Pages/jl0698.aspx. Abu Zarqawi al-AustraliGeoff Chambers, “Tribute to Aussie IS thug Khaled Sharrouf by compatriot Neil Prakash indicates he was killed in an air strike,” The Daily Telegraph (Sydney), August 2, 2015, http://www.dailytelegraph.com.au/news/nsw/tribute-to-aussie-is-thug-khaled-sharrouf-by-compatriot-jihadist-neil-prakash-indicates-he-was-killed-in-an-air-strike/news-story/23109ed2ddaa84258243f6018e913b96. The U.S. Department of the Treasury designated Khaled Sharrouf as a Specially Designated Global Terrorist pursuant to Executive Order 13224 on January 10, 2017.“Treasury Designates Australian and Southeast Asian ISIL Operatives and Leaders,” U.S. Department of the Treasury, January 10, 2017, https://www.treasury.gov/press-center/press-releases/Pages/jl0698.aspx. “Counter-terrorism related sanctions listing,” Australian Ministry for Foreign Affairs, August 20, 2015, http://foreignminister.gov.au/releases/pages/2015/jb_mr_150820.aspx. “Australia and sanctions [Consolidated List],” Australian Department of Foreign Affairs and Trade, accessed January 12, 2017, http://dfat.gov.au/international-relations/security/sanctions/Pages/consolidated-list.aspx. 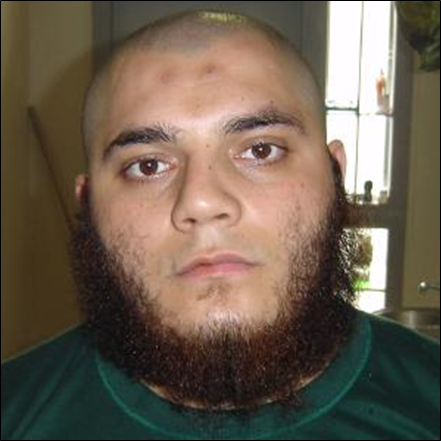 Khaled Sharrouf is a U.S.-, U.N.-, and Australian-designated terrorist who fled his native Australia in December 2013 to join ISIS in Iraq and Syria.